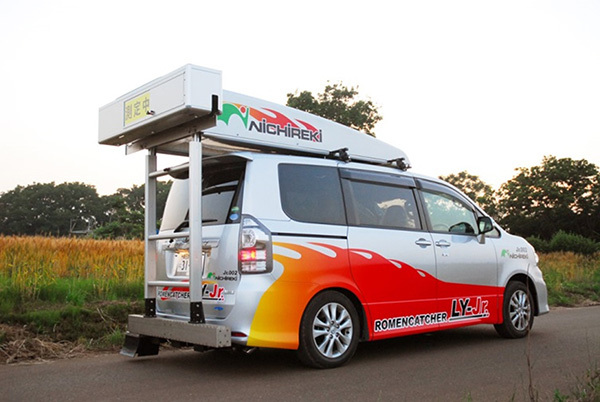 ROMEN CATCHER LY Jr. is a road surface condition survey vehicle that passed the performance test for automatic road surface condition measuring equipment and is capable of safely implementing surveys even on narrow roads. 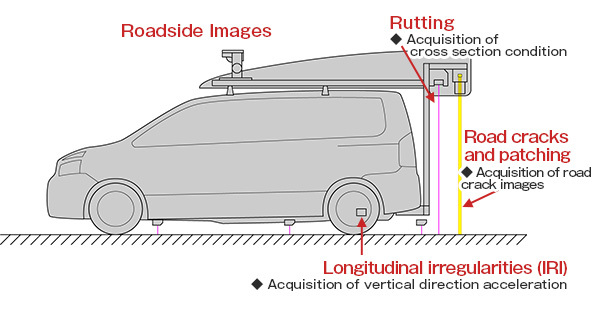 Visual evaluation of IRI from the vertical acceleration standard deviation and the images. 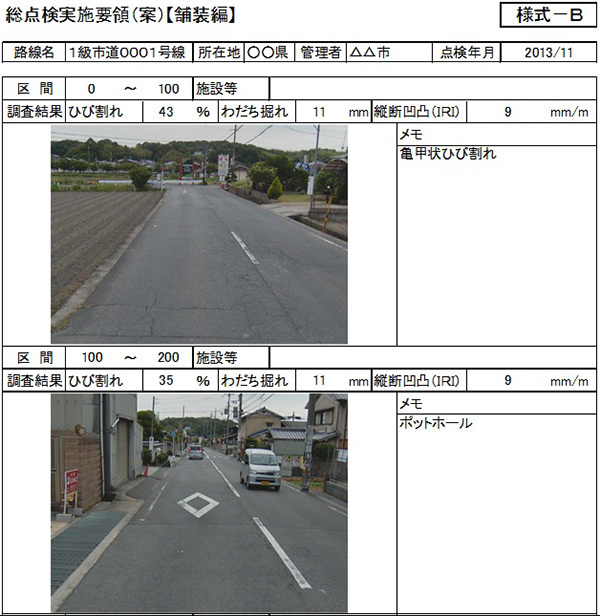 Evaluation complying with the “Method using a road surface condition measuring vehicle” described in the “Pavement Surveying and Testing Handbook”. 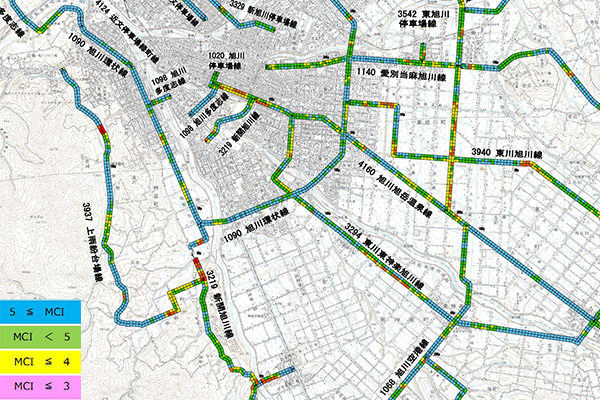 Counting of the number of patches in the section being evaluated from the images. Additionally, from the survey results, the following types of products can be created.